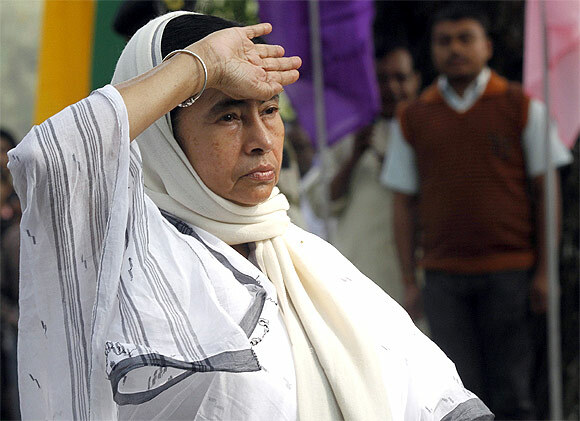 Rediff.com » Business » Is Haldia Mamata Banerjee's Singur? Is Haldia Mamata Banerjee's Singur? 'Loss of ownership rights over land assets was a primary cause underlying the Singur struggle, whereas the Haldia problem links to labour unrest. Contrary to common perception, psephology is not an economist's strong point. 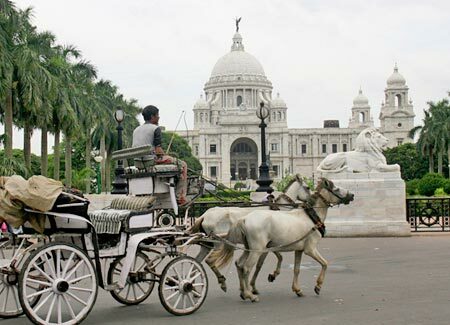 Consequently, an economist's perception of the electoral implications of the Haldia imbroglio vis-a-vis the previous government's Singur debacle may lack political wisdom. However, he can afford to sit on judgement over the economic implications alone of unfolding events and draw up a list for the use of the public, should it believe that the list contains a political message at all. This economist senses certain fundamental economic differences between the Singur and Haldia affairs. First, the Tata factory did not materialise, but if it did, it would have created a mini township with direct and indirect job possibilities for a large number of people living in Singur as well as migrating from elsewhere. Second, the Singur struggle was a farmers' problem, being rooted in the land owners' and land dependent populace's reluctance to part with their accustomed ways of life and means of livelihood. As opposed to this, the Haldia incident involved an already operational employment generating organisation -- but, in terms of the actual number of workers displaced in berth numbers 2 and 8, the size of the labour force affected is much smaller than the direct plus indirect employment potential of the proposed Nano township. Thus, we are comparing the loss of a moderately small number of actual jobs to a large number of jobs that never came to be. However, a bird in hand is worth two in the bush and to that extent the Haldia job losses matter more than the notional job losses in Singur. Going over to the second issue, loss of ownership rights over land assets was a primary cause underlying the Singur struggle, whereas the Haldia problem links to labour unrest. In this context, the economic future of Singur is gravely uncertain, compared at least to Haldia. An out-of-court settlement has been suggested, even though the Tatas might be unwilling to come to an understanding in the absence of financial compensation, which the government can ill-afford. Besides, even if the court rules against the Tatas, there has so far been little evidence that investors are gearing up to flock into Singur. Image: Metropolitan Building in Esplanade. Photographs: Courtesy, Biswarup Ganguly/Wikimedia Commons. Moreover, and unlike the retrenched workers in Haldia, the farmers can hardly be reinstated, since it is unlikely that Singur land will be tillable again, destroyed as it stands by construction work. It is exactly in this connection that Haldia appears to have an edge over Singur. Even as ABG leaves Haldia, others, including the Tatas, have thrown in their hats to fill up the gap. Besides, the Kolkata Port Trust has floated tenders for mechanised operation in berth 4B as well. On the face of it therefore, it appears that the employment loss in Haldia is somewhat temporary in nature. At the same time though, whichever organisation replaces ABG will need to be assured that it will not fall prey to the kind of labour militancy that led to recent reverses. To that extent, there is a question mark in the Haldia horizon as well. Going over now from the particular to the general, both events have been warily watched by potential investors. The overall balance sheet shows two industrial exoduses. The first, some believe, catapulted the present government to power. So far though, the government has not been able to fill up the vacuum created by the exodus. 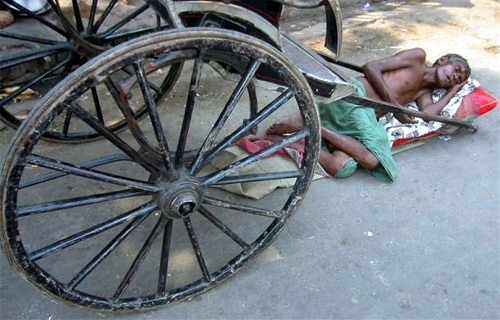 Image: A hand rickshaw puller rests on a pavement in Kolkata. 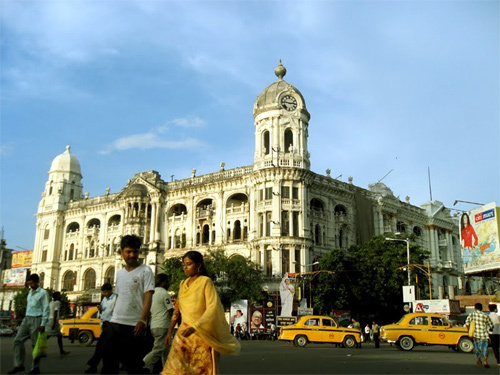 The second exodus has taken place during its own regime and, being related to labour unrest, is reminiscent of events leading to the de-industrialisation of West Bengal during the Left's rule. Quite independent of the ruling parties therefore, industrial growth and employment in the state suffer still from a deficit. However, pure economics is not a discipline that is well-equipped to predict the electoral consequences of industrial ill-health. Roosevelt was re-elected to American presidency when the country was experiencing double-digit unemployment. 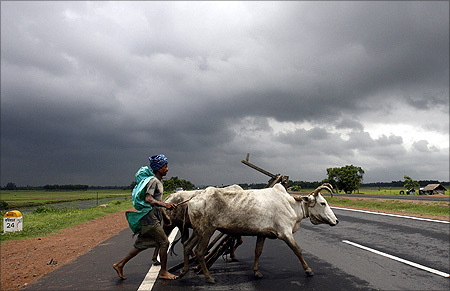 Image: A farmer and his bullocks cross a highway against the backdrop of monsoon clouds in Singur. More recently, Barack Obama too came back to power even though the unemployment rate in the US continues to be severe. The economic affairs of the state alone do not probably determine electoral results. However, prolonged economic misery may well produce dents in a government's popularity. Any democratically elected government, therefore, if it wishes to keep the vehicle of governance, is well-advised to keep the economy's wheels in operational condition. 'The Left Front lost votes due to Singur because farmers were opposed to forcible land acquisition by the state government. No, Haldia is not Mamata Banerjee's Singur, not even remotely. To see the matter in proper perspective, you must recapitulate what happened in Haldia recently. A private company -- the handling contractor ABG Ltd -- had got a contract for loading and unloading cargo in two docks in Haldia Dock Complex. They've got the contract through an open tender, quoting very low rates. They were also assured a minimum cargo at each of the docks. The company had brought in some handling equipment directly to handle cargo. The company was not getting cargo as promised, and apparently making losses. It was eager to get out of the contract. There was some labour unrest in the docks. The high court intervened in the matter, and ensured police protection to the company's operations. While working had started peacefully, the company suddenly retrenched 275 workers through SMS. This created great unrest, as the retrenched workers started agitating. There was an unverified allegation by the company that three of their executives were kidnapped. 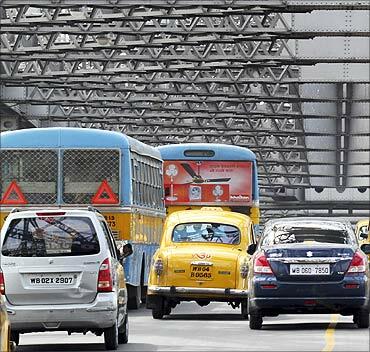 Image: Traffic moves across Howrah Bridge in Kolkata. The police started looking into the allegations. 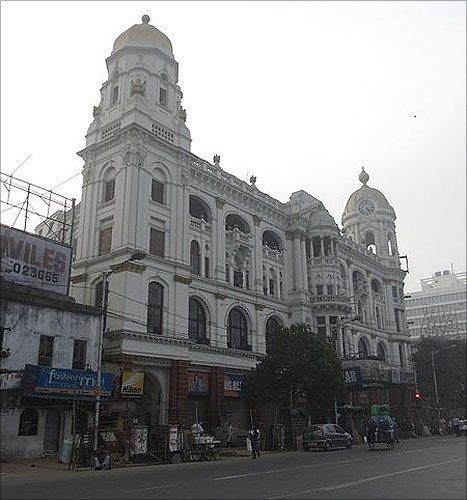 Subsequently, the company decided to withdraw from Haldia. The Kolkata Port Trust is going to take penal action against the company. The whole affair had nothing to do with Mamata Banerjee directly. 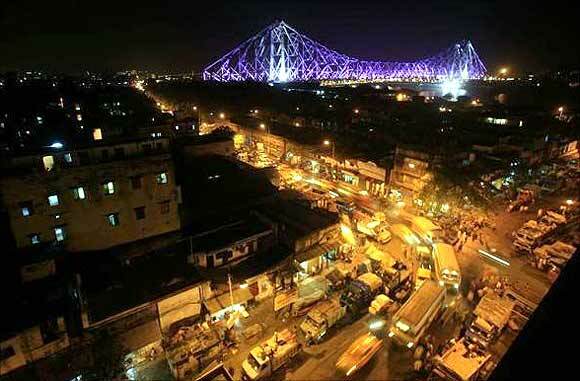 Firstly, the Haldia docks are managed by the Kolkata Port Trust, which is under the Central shipping ministry. Secondly, the unrest happened because the company unjustifiedly and unilaterally retrenched 275 workers. Thirdly, under high court orders, the police were maintaining peace in the docks till the retrenchment happened. In fact, the Mumbai-based company is to be wholly blamed for the entire fiasco, which led to the further loss of jobs of 325 workers. A section of the media is painting this incident as an example of anti-investment policies of the state government. This is wholly wrong, because there was no manufacturing industry in Haldia run by the ABG. It was only a handling contractor which had recruited people on contract basis and brought some machines on lease. They had made no investment in Haldia. Now, their place will be taken by some other contractor who'll quote the lowest prices in an open tender. So, the question of Mamata's losing votes because of this fiasco doesn't arise, as was proved by the local Member of Parliament Subhendu's rally at Haldia after the withdrawal. 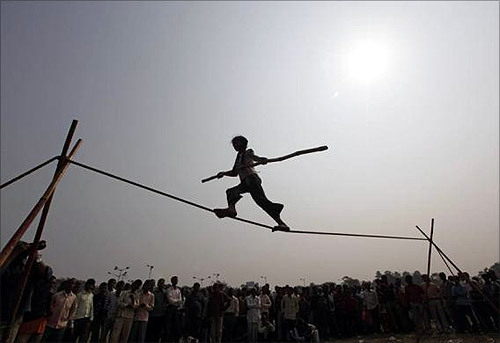 Image: Eight-year-old Rupa performs on a tightrope at a roadside in Kolkata. Singur, on the other hand, was a long drawn-out movement by farmers against the forcible acquisition of their lands for setting up Tata's Nano factory. The state government had acquired thousands of acres of fertile agricultural land against the wishes of the farmers. The farmers protested against such illegitimate and forcible action from the first day. Mamata joined their movement. She was beaten up by the police on September 25, 2006 when she had gone to protest against the distribution of cheques to the farmers. A Bangla bandh was called against the police brutality. 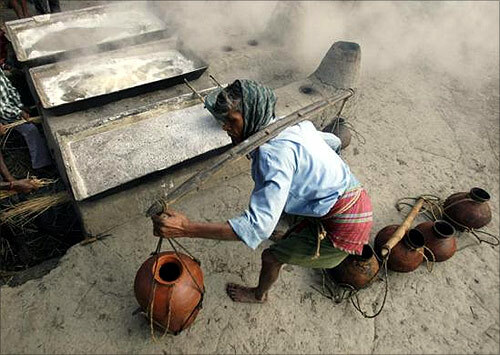 Image: A labourer carries pots of palm juice to prepare jaggery, a form of candy, at a roadside factory in Bagnan, Kolkata. 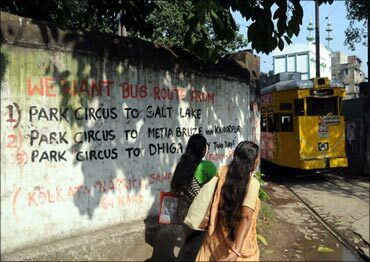 Subsequently, Section 144 was proclaimed in the district of Hooghly, and Mamata was forcibly prevented from entering the district on November 30, 2006. The state government took forcible possession of the land on December 2, 2006 using lathis and tear gas. Mamata went on a 26-day fast demanding the return of land to the unwilling farmers, which ended with the intervention of the prime minister. The agitation went on at a lower ebb when the company started construction work at the site. 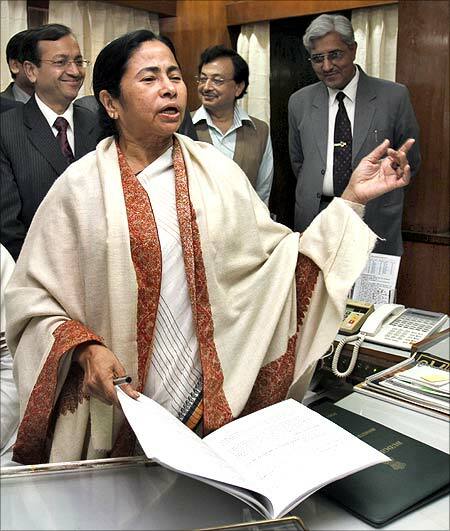 In 2008, Mamata again went on mass dharna on the expressway, in front of the proposed factory site. 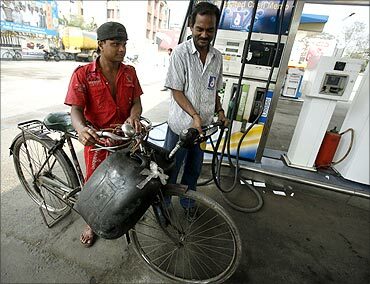 Image: A petrol pump in Kolkata. The dharna ended with the intervention of the then West Bengal governor. An agreement was signed by the government and the opposition through the mediation of the governor. The state government later refused to honour the agreement. Ultimately, Tata withdrew from Singur. So Singur was an assertion of farmers' rights. The Left Front lost votes due to Singur because farmers were opposed to forcible land acquisition by the state government. That message spread throughout the state. Nobody was opposed to Tata's Nano plan as such. It should have been built at another place, with the cooperation of farmers. The Left-Front run government appeared to be stubborn and unreasonable in supporting the Tatas whereas, Mamata became the champion of farmers' rights. It was hundred times a bigger issue than Haldia. 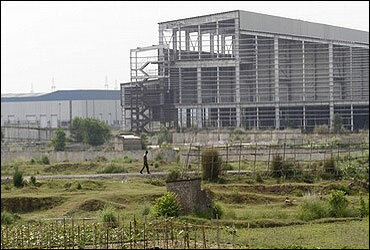 Image: Tata's abandoned factory at Singur.